Much of economic theory is built on the assumption that individuals are rational. They act out of self-interest, they run cost-benefit analyses, they don’t make mistakes. If they’re deciding whether or not they want something, they figure out what it will cost and how happy they will be if they have it, and they act — or vote — accordingly. Of course, people in the real world don’t quite work like that. 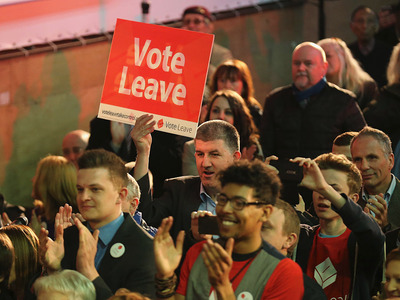 The upcoming Brexit vote is a good example of individuals diverging from this kind of purely rational behaviour, according to Richard Thaler, a behavioural economist at the University of Chicago Booth School of Business. The British citizens who are campaigning to leave the EU aren’t acting or thinking the way traditional economics would expect them to. Thaler has devoted much of his economic research to the psychology of decision-making, which “lies in the gap between psychology and economics.” He studies the miscalculations, biases, and errors that go into people’s real-world decisions. Financially, leaving the EU doesn’t make sense: Watch John Oliver debunk arguments about how Britain would economically benefit from an exit here. A simple cost-benefit analysis should lead to a “remain” vote. Watch Thaler’s interview with MarketWatch here.